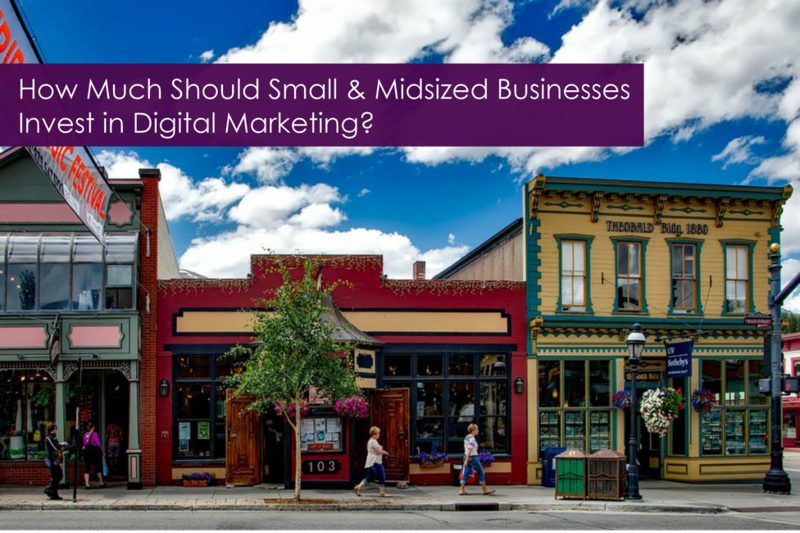 How Much Should a Small or Midsized Business Invest in Digital Marketing? The rule of thumb is that your marketing budget should equate to 10% of your total sales. If you are on track for $500,000 in total sales, you should be spending $50,000 per year (or $4,166 per month) to maintain your current level of sales. If you want to increase your sales, adjust accordingly. So if your goal is to realize $750,000 in total (gross) sales this year, you should be spending $75,000 per year or $6,250 per month. This varies, of course, from business to business and industry to industry. A more precise way of determining how much you should be spending on digital marketing is to calculate your customer acquisition cost and customer lifetime value. Your customer acquisition cost is how much it costs you to gain each new customer. You calculate this by adding up all of your “acquisition costs” which includes product or service (cost of goods or services sold), research, marketing and accessibility and then dividing that number by the number of new customers you gained during a the same period. Your customer lifetime value is the value one customer has to your business during the time that customer purchases from you. You calculate this by determining the average income you expect to gain from an individual customer this year and each following year that they remain your customer. This is the average customer lifetime value you expect each customer to have. Once you understand your CAC and CLV, you can make an informed decision about how much your marketing budget should be and where you should allocate future investments. How much are you currently investing in marketing for your business? How much do you need to invest to meet your growth goals?